There are things so deeply familiar it is easy to forget how comfortable they make us feel. For members of the Colorado Front Range’s running, walking, and fitness community, Runners Roost has served this purpose Since 1977. 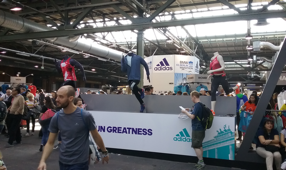 Runners Roost has remained dedicated to offering outstanding customer service and the best in footwear, apparel, and gear within our stores, as well as being a constant, positive presence in the community. Throughout that time The Roost has remained locally owned. The first Runners Roost opened in Colorado Springs. The original ideas are the same as today—serve and foster the local running, walking, and fitness community. With this mission the company has grown from that original store to seven locations up and down the Front Range, never wavering from the core values of the business or local ownership. Dennis “Mex” Giannangeli grew from a part-time employee at that first Runners Roost to full owner of the franchise in 1999. After attending Saint Mary’s High School in Colorado Springs and competing in track & field at Colorado State University, Mex began running longer road racing distances—from 5Ks to marathons. He decided to make a career move and become part owner of Runners Roost. “It was a nice, small, full-time pursuit with a lot of fun and great people,” said Giannangeli. Mex remembers numerous people coming from Denver, Fort Collins, and Pueblo to that original Runners Roost location. In order to better serve the Front Range endurance athlete or fitness enthusiast, Runners Roost began to grow. In 1987 the Runners Roost in Denver on Colorado Boulevard opened, and remains in the same shopping complex where it started. In 1992 the Fort Collins store opened, and was followed in 1998 by the Aurora location. With the growth of the company came increased opportunities to serve the local community. The Roost became more involved with local races, charity causes, and shoe drives. 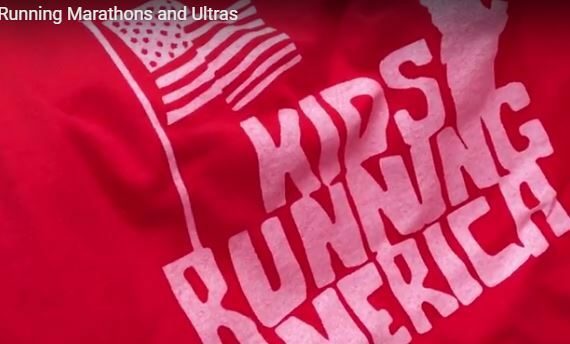 Mex’s favorite part was working with local high schools—providing local teams with shoes and gear for their competitive seasons, setting up race courses, and donating shoes to high school runners without means to afford them. “Anytime someone came to us, we did our part. It was part of our business” remembers Giannengeli. 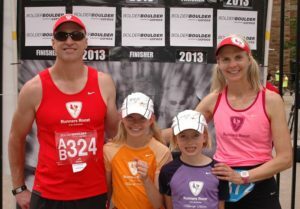 In 2000 brothers Steve and Brian Cathcart purchased the Fort Collins store, and in 2004 Sonya Estes licensed and opened the Runners Roost in Lakewood, being later joined in ownership by her husband Chris. Sonya had been working as a personal trainer and shopping at Runners Roost, and decided to open up her own shop. “I was crazy about running and I wanted to serve the Lakewood community, which is where I live,” said Estes. 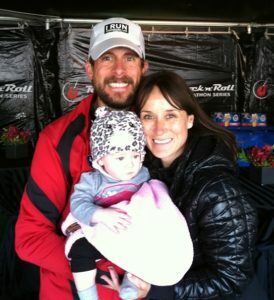 To Sonya, Runners Roost is the heartbeat of the Colorado running scene and bleeds a passion for the sport. In 2005 Gary & Linda Staines purchased the Colorado Springs location, keeping the store in its original downtown location. “We inherited a strong legacy with involvement in the community, and we have kept that going,” said Staines. He thinks that involvement is especially highlighted by his stores partnership with local high schools and sponsorship of the Colorado Springs Grand Prix racing series. 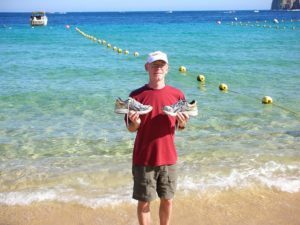 John and Lynne Shults took over the Runners Roost license from Mex in 2007, along with the Denver and Aurora Runners Roost locations. John believes he was chosen because of his dedication to the Runners Roost values. John grew up in small-town Washington state. His professional career saw him work for IBM before coming to Colorado in 1995 with a small telecom company, eventually serving as Director of Engineering for two other companies. John loved his work, yet felt a pull to do something more entrepreneurial and engage professionally in his love of health and fitness. John now resides in Lafayette with his wife of 19 years, Lynne, and their two daughters, Anna, 12, and Maddie, 9. The Roost’s local commitment has continued to grow, developing substantial run clubs at each of the stores and a large race team which can be seen at almost every in-state race, and many beyond Colorado’s borders. His vision for The Roost is to always grow and serve the running community, including opening new locations for this purpose. In 2010 Runners Roost opened the Lone Tree store and acquired our store in Louisville. In 2013 John & Lynne became full owners of the Fort Collins location. As one would guess, there have been several opportunities for non-local acquisition since Runners Roost opened in 1977. All three partnerships maintain local ownership, and it boils down to one thing: Passion. Now in its 39th year as a locally-owned business, Runners Roost has grown as strong as ever. Continuing its dedication to top-notch customer service and offering the latest and greatest in running and fitness products The Roost is now the largest locally-owned running specialty store in Colorado. More than anything else The Roost is known for its community involvement—the relationships developed with training groups and gyms, its visibility at local races, and its generosity to local charitable causes. Shop local and run this town with us! The go to place for what’s happening in Colorado’s running and fitness community. Check out our unique social events, run clubs and races we support.